Completing his MSc Brewing Science & Technology from the University of Pune and a Diploma in the same from The Institute of Brewing & Distilling in 2017. Ankur Napa is a maverick of all things brewing, joining the brewing bandwagon even before he was legally allowed to drink. Kick-starting his career at Hops & Grains the Microbrewery & TJ Brew Works, he discovered his passion for brewing. A brewer by qualification & profession, his experience in craft as well as commercial brewing is what makes an encyclopaedia who loves sharing his learnings with people. Further crafting his love for brewing, Ankur joined global giant AB InBev as a Quality Analysist & SABMiller India as a brewer. “For as long as I can remember I have always been the youngest brewer around, and in a world where everyone seemed to be getting certified, I was ahead of the game. Or so I thought”. 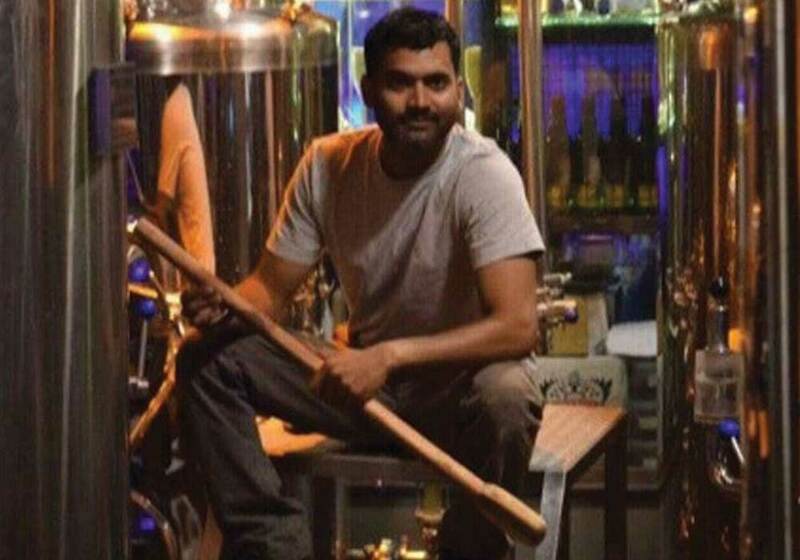 Brewer World spoke to Ankur Napa earlier this year (January) about the emerging beer markets in India and its dynamic collection of brewers. “I’m still the youngest, I’m starting to notice the age gap slowly closing. Not because I’m getting older, but because the trainees are getting younger! What this mean for the profession? On asking him the same thing – What impact a younger generation of brewers could mean for the industry? “I’m not going to lie all of my favourite brewers are older than me. They have been brewing for over a decade, and there is a quiet competence in their brewing. I haven’t stumbled upon many young brewers who are as intelligently submerged in the brewing. When new brewers come to me for training, I send them to my teachers—older, wiser, more experienced—people who I trust to give a good, solid answer. Some part of me still believes that I’m an amateur brewer. However, I have a strong, ever-changing brewing practice that honours my age”. Asking Ankur if he believes age can be the greatest advantage one could have on their side, he smiles enthusiastically and says, “Of Course, It was my first teacher—older and wiser—who believed my youth to be my greatest advantage. He told me there is energy within young brewers that cannot be faked. We appear instantly relatable and perceptive. We sit up there brewing with our hearts cracked wide open and a myriad of insecurities just beneath the surface, brewing with a wild inhibition engendered simply from our youth”. Sensing our looks or confusion he went on to clarify, “When left to our own devices, we turn to friends and colleagues for advice, rather than turning inward to our own. Yet here is where young brewers have the power to set ourselves apart: the more we do, the better our teaching will become. Svadhyaya (self-study) doesn’t come from age or experience, but through passionate dedication to the practice”. Youth could also have its disadvantages, have you noticed any unsettling trends that would collaborate with the same? “The young brewers of today, armed with brewing degrees, have been unleashed into a world filled with easy distractions such as Instafame and competitions. What first brought brewer to breweries has been replaced with an anxious, obsessive desire to be noticed. We watch other brewers sell out them self and retreats, and we cling to the idea that we are only a few years away from a similar stardom. But we’re not. And we shouldn’t be”, answers Ankur. “As this industry becomes increasingly competitive—pressuring brewers to focus on time slots, brand ambassadors and brewing. What we need more than ever is an influx of passionate, young brewer dedicated to Svadhyaya. This means taking the time to, understand the brewing texts, studying biology, biochemistry and embracing constructive feedback. We must keep showing up, time and time again, with that same energy and enthusiasm that brought us here in the first place—than the commitment to personal growth. As more and more young brewers get certified, we can either promote ourselves or pro-brewing. We can shine briefly and burn out quickly, or we can stick around for the long haul, staying curious and malleable, willing to change and grow with our age—constantly reading and absorbing new information—but continuously rooted in the reasons of why we came,” adds Ankur. Any last thoughts, as a brewer, you’d like to share with us? “We are part of a large industry with only a little influence, but we have the capacity to inspire genuine connection and growth. What makes us special is that we don’t have all the answers; our brewing skills are accessible, energetic and changing. We must embrace our youthful insecurity, using it for growth, staying vulnerable and relatable as we become the older, wiser, mentors of the future,” states Ankur.